Mix-and-match dinner components for healthy, relaxing meals, featuring slow-roasted salmon, rotisserie chicken, zucchini spaghetti, and more! Dinner is a mystery to me. It is definitely my favorite meal to eat – but being in charge of getting it on the table can be kind of dispiriting. It just comes around and comes around, and even though you just made dinner last night, it is time to make more of it, to make it again and again, whether or not you are out of ideas and whether or not you have family members milling around like a school of hungry sharks. Dinner prep can be especially tricky if you’re trying to lower your overall carb intake since easy, comfortable favorites like spaghetti and meatballs, mac and cheese, or even breakfast for dinner have to be tinkered with. That’s why my recipes are meant to be the meal equivalent of practical wardrobe separates: you can make them as stand-alone recipes, or you can mix and match them into complete meals. They are generally low-carb, nutrient-dense, and also fairly straightforward and quite delicious. Plus, you can add whatever seasonings you like to make them even more interesting for yourself or the people you’re feeding – in other words, you can dress them up, dress them down, serve them with jeans, etc. Or that’s the hope. I want to say here, in the interest of full transparency, that lots of people at diaTribe, including our own Adam Brown and me, are increasingly convinced that lowering carbohydrate intake substantially helps stabilize blood sugars and makes people feel better. But then we’re not completely avoiding carbs, and we don’t want to assume that you are. (Although if you are, that’s great!) 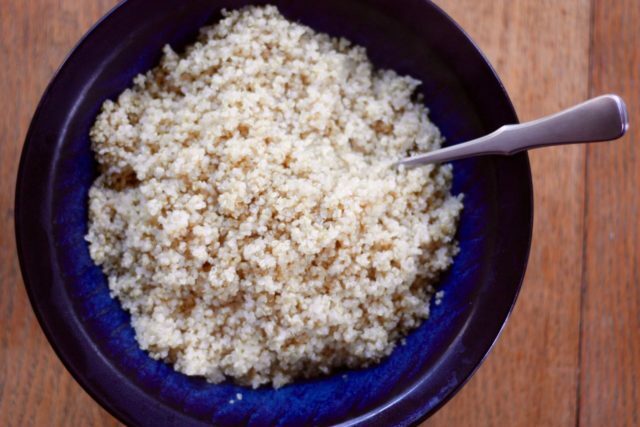 We are thinking of some of these foods – the quinoa, for example – as better options than the ones like bread or pasta that have lots of carbs that go in fast. But please feel free to tell us what you’re thinking, what you’re wanting to cook more or less of at home. Because we really want to know! Cut-up Romaine lettuce + shredded chicken + grated parmesan + Caesar dressing + chickpea croutons (below). 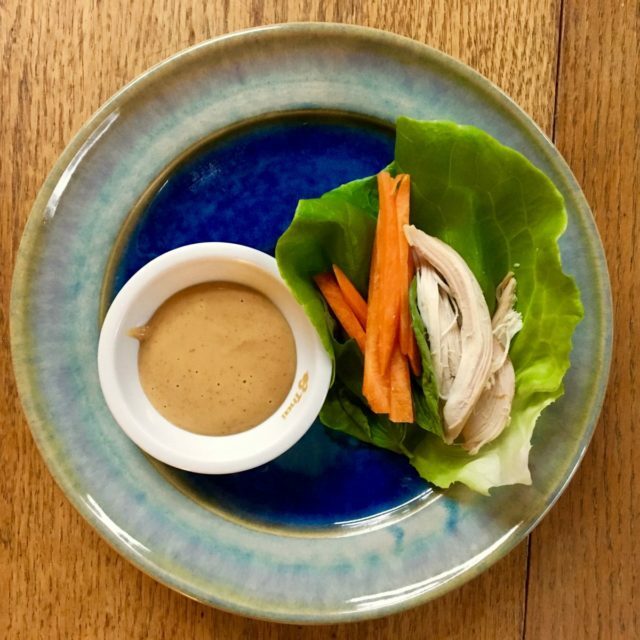 Adam’s Brown shared his Caesar dressing recipe, one he’s modified from The Keto Diet book: In a blender or food processor, whiz together 1 cup olive oil, ½ cup mayonnaise (use full-fat; look for Best Foods or Hellmann’s; otherwise, check that there are 0 grams of sugar per serving), one small tin of anchovy fillets, 6 tablespoons lemon juice, 2-3 tablespoons Dijon mustard, 4 cloves of garlic (or 2 teaspoons garlic powder) and a grind of black pepper until creamy and smooth. This makes enough to dress 10 large plates of salad. So, yes, oodles of zoodles and all that – it’s true that spiralizing vegetables, i.e. slicing them into spaghetti-shaped strands, is kind of a food trend. 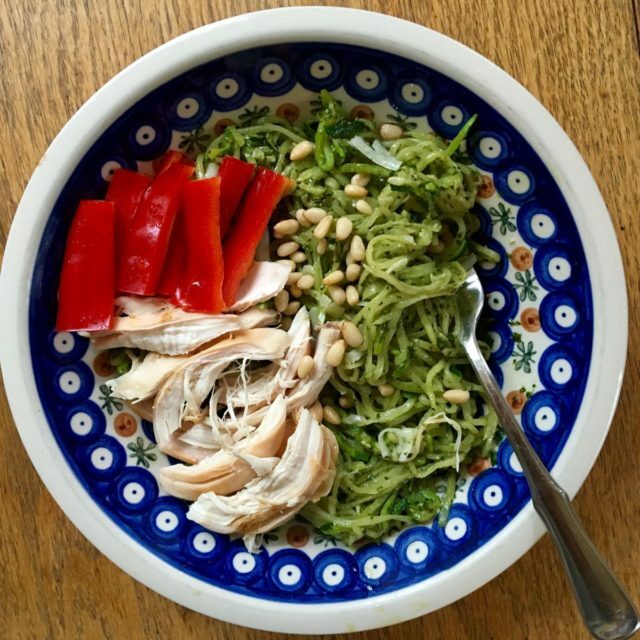 But zucchini noodles are light and delicious, naturally low in carbohydrates, and naturally high in fiber and nutrients. Plus, if you give them the spaghetti treatment – sauce and cheese, a spoonful of pesto, or even simply a little pat of melting butter – you just might convince any squash-wary family members that they’re worth tasting. A note on gadgets: I have a super-simple double-sided pencil-sharpener type spiralizer, and I find it quite easy to use. I would also recommend the SpiraLife Vegetable Spiralizer ($13.99), a hand-held no-bells-and-whistles model that I like because it’s a) relatively inexpensive and b) entirely mechanical, which means you don’t need to plug it in and it won’t break. However, you can invest in a more efficient gadget if you anticipate eating this a lot (Adam really likes this one) or you can even buy your veggies already-spiralized in some places if you want to pay a little more. Heat the oil in a wide skillet (ideally nonstick) over medium-high heat. Add the zucchini and sauté, tossing gently with tongs as it cooks, until it is just barely tender. This will take around 3 minutes, and you should stop before you think it’s completely cooked because it will keep cooking and you don’t want it suddenly sitting in a flood of water. Likewise, don’t salt it until you’re done cooking it, since the salt also will pull water from it. Salt and sauce as you like. This is my very favorite way to cook salmon (or cod or striped bass, for that matter): the fish ends up meltingly tender, with a velvety texture and a very fresh, mild flavor. Don’t expect it to brown (alas), and don’t expect it to look the way you might expect cooked fish to look, since it won’t turn pale pink and opaque. It’s perfect as a regular main course, or atop a salad for a leafier meal. 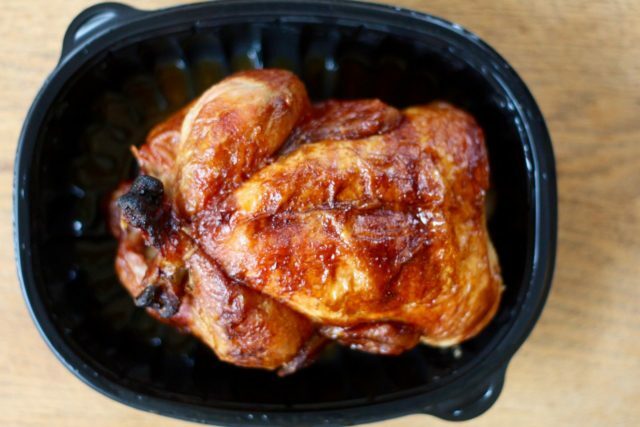 Heat the oven to 275° F. Cover a baking sheet with foil, then brush or rub it with the half tablespoon of olive oil. In a small bowl, stir together the lemon zest, garlic, and remaining tablespoon of oil. Put the fish on the baking sheet, skin side-down. 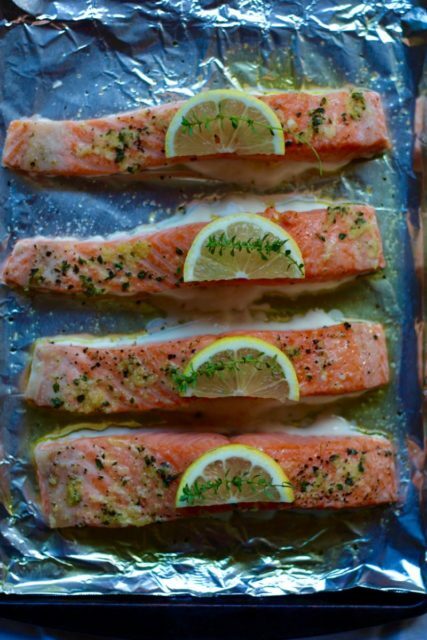 Sprinkle it with salt and pepper, then drizzle the lemon-garlic oil evenly over the fillets. Roast for 15 to 25 minutes, until the flesh is just beginning to flake when you press a fork into it, and you can separate the fish from its skin. It might look different from the way you’re used to cooked fish looking – rosier and less opaque. That’s okay! Serve with the lemon wedges, warm, at room temperature, or cold. Whisk together ½ cup mayonnaise (use full-fat; look for Best Foods or Hellmann’s; otherwise, check that there are 0 grams of sugar per serving), 1 tablespoon coarsely chopped capers, 1 tablespoon chopped parsley, 1 tablespoon lemon juice, and ½ teaspoon salt. Feel free to add finely chopped cornichons (mini sour pickles) or dill pickles, and/or chopped dill. Bring a medium or large pot of water to a boil over high heat and salt it heavily. It should taste as salty as the sea, so we are talking a fair amount of salt. Add the quinoa and stir, turn the heat down to medium-high and cook it for 10-15 minutes, uncovered, until it is just tender and the grains have spiraled open a bit. It will continue to cook as it steams, so don’t cook it until it’s soft at this point – just fish a little out with a fork to test. Drain it really, really well in a fine sieve – I mean, really shake it around to get the water out – then put it back in the pot, stretch a doubled dish towel over the top of the pot, and put the lid back on. Leave it to steam for 5 to 10 minutes. Stir in the butter or oil and serve. Note: If you feel weird adding sugar to your vegetables, please feel free to leave it out. That seems completely reasonable to me, and the vegetables will still be totally good! However, because it helps the vegetables brown, because it only adds only a 1/2 gram of carbs per serving, and because this has, for years, been the best recipe I have for getting vast quantities of vegetables into the bodies of my children, I include it. If you’re using broccoli, peel the thick stems with a sharp paring knife as best as you’re able. Then cut the stem into long ½-inch-thick pieces and the rest into long, narrowish florets. If you’re using cauliflower, trim out the core with a sharp paring knife, then cut it up into florets, ideally cutting each in half so there’s a flat side. For Brussels sprouts, trim off the bottoms and any discolored leaves, then cut them in half. Put the vegetables in a bowl, drizzle with the oil and toss well until evenly coated. Sprinkle with the salt and sugar, and toss to combine. Remove the baking sheet from the oven, then dump on the veggies, spreading them in an even layer and placing flat sides down wherever possible. 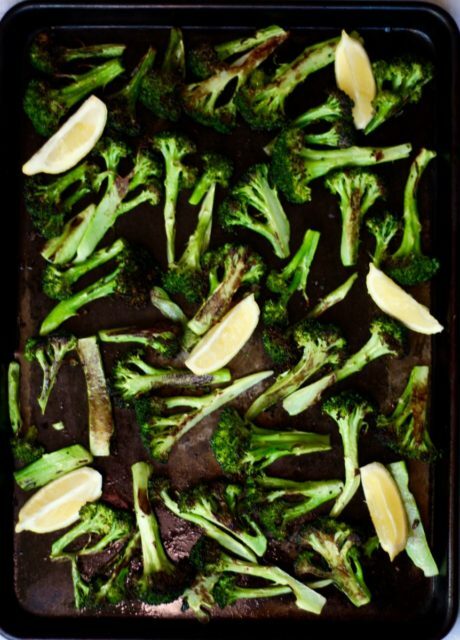 Return the baking sheet to the oven and roast until the stalks are well browned and tender and the vegetables are lightly browned: about 10 minutes for broccoli; 15 minutes for cauliflower; 15-20 minutes for Brussels sprouts. Transfer to a serving dish and serve immediately with lemon wedges. I love these so much more than traditional croutons and they are better for you! They’ve got all the crunch, flavor, and saltiness you expect, but then they also add a ton of protein, fiber, and vitamins to your Caesar or green salad. Use a nonstick or well-seasoned pan, if you’ve got one. Heat the oil in a medium pan over medium heat until it is medium hot. 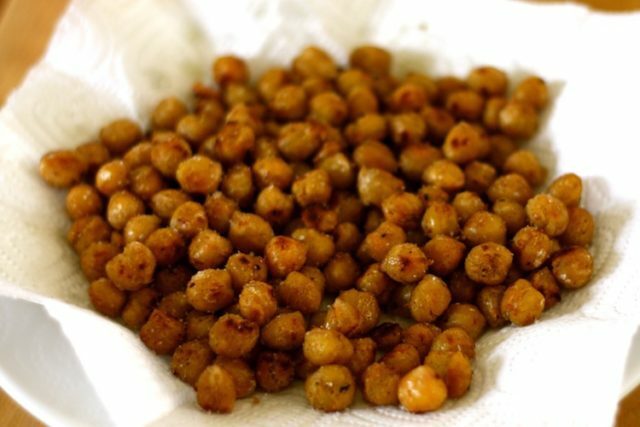 Add the chickpeas in a single layer, salt them liberally, and leave them for a few minutes, unpestered by you and your spatula, so they can start to turn a bit golden on the bottom. Now start flipping and turning them every so often, shaking the pan around, until the chickpeas are as crisp and brown as they could be without burning. This will take 10-15 minutes. 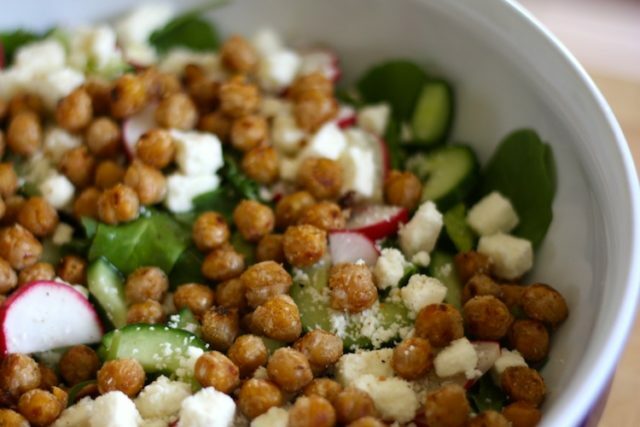 Add a sprinkle of garlic powder, if you’re using it, then taste for salt and remove the chickpeas to a paper-towel-lined dish to cool a bit before their introduction to the salad. Tagged dinner, Gluten-Free, Healthy Eating, Low-Carb Diet, recipe, rotisserie chicken, Salmon, vegetables, zoodles. Fukushima Radiation: Hundreds Of Millions Of Salmon Completely Die Off On U.S. West Coast. he fish are tragically starving at sea as the plankton pastures have turned into clear blue lifeless deserts… Collapse of North Pacific ocean fish pastures has resulted in near total collapse of Pacific Salmon… It’s not just Pacific salmon that are dying in the North Pacific all forms of ocean life are being reported dead and dying [in] stunning numbers… Hokkaido Shimbun: Salmon landings in Hokkaido in 2016 are the lowest in three decades — The number of salmon caught in Hokkaido in 2016 plunged 29.4% from the previous year… The figure represented the lowest level in 28 years… Local fishermen have been increasingly concerned over the fact that the trend of meager catch that continued in recent years has not been held in check… Minato-Tsukiji: The harvest in Hokkaido was the worst in 24 years… Beginning with the Sanriku area, landings all over Honshu were below those of the previous year… The number of returning four-year-olds, which are regarded as the main shoal, was a record low..
It’s a move that many, including myself, have worried might happen, and it now appears the first GE fish could reach your dinner plate within the next year or two, unless a sufficiently strong opposition is mounted. 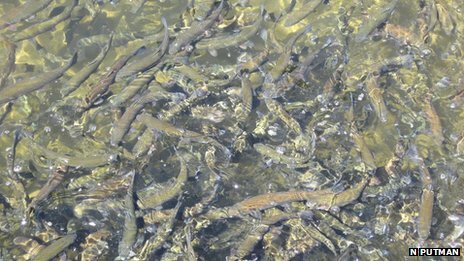 According to the FDA,2 the GE salmon is “as safe as food from conventional Atlantic salmon,” but many have brought up significant flaws and limitations of the environmental assessment (EA) on which this conclusion is drawn. The FDA’s draft EA3 is now open for public comment. Two years ago, GMO expert Jeffrey Smith, founder of the Institute for Responsible Technology, called the potential approval of genetically engineered salmon “a move that will go down in history as one of the most asinine and dangerous ever made by our government.” According to Smith, evidence5 suggests the buffed-up salmon might have higher levels of a potentially cancer promoting hormone, IGF-1, more antibiotics, and more of potentially life-threatening allergen(s). But that’s not all. The salmon — which contains a spliced-in growth hormone gene that makes it grow up to five times faster, reaching market size in about 18 months instead of three years — poses a significant threat to the environment and natural fish stocks as well. According to a Purdue University computer model that tracked the effects of releasing just 60 “Frankenfish” into a population of 60,000, there was a complete extinction of the normal fish in just 40 fish generations. It appears the larger size, which attracted mates more easily, combined with a slight reduction in survival rates, was a killer combination. Furthermore, according to Jeffrey Smith, Canadian scientists also engineered their own set of fast growing salmon and tested their behavior in tanks with other fish. “While this initial application to grow GE salmon is for land-based facilities, the prospect of even larger profits from growing GE salmon in the ocean will certainly create pressure for approval in these more environmentally risky systems in the future. The video above is two years old, but the arguments made in it remain unchanged. The video features Michael Hanson, a brilliant senior scientist with the Consumers Union (the publisher of Consumers Reports), and Val Giddings, a biotechnology consultant to various governments and companies. One major concern is that the containment systems designed to segregate these fish from wild fish could fail. I am convinced this is the MAJOR argument against the approval of these GE fish, not the allergencity of them. As explained by Hanson, the fact that the FDA is only looking at two facilities, both outside the United States, and that they’ve only performed an environmental assessment on ONE facility, specifically located on Prince Edward Island (PEI), is of major concern. There’s no assessment of the environmental impact if the fish are produced elsewhere. “A fundamental problem with all the phenotypic characterization data, and indeed all the nutritional and food safety assessment data, is that they all come from GE Salmon raised in the PEI facility, not at the facility in Panama. FDA admits that the culture/husbandry conditions at the facility in Panama will likely differ significantly from the conditions at the PEI facility with unknown effect on the GE salmon’s phenotype but then concludes that it has no concerns with the different culture conditions: ‘the culture (e.g., water temperature, pH, alkalinity, etc.) were likely to be significantly different from the facility at PEI as a result of differences in, among others, water surface, facility design, and environmental factors due to geographic location. …the effect of the difference between the PEI and Panama facilities, especially temperature, on the resulting AquAdvantage phenotype is unknown. Forbes magazine10 recently ran an article questioning whether the federal government’s science integrity process has completely broken down as the White House administration stands accused of openly meddling with the approval of the controversial Frankenfish. Two years ago, the FDA promised to release the environmental assessment of AquaBounty’s modified salmon “within weeks.” But it didn’t… A draft assessment was eventually produced, dated April 19, 2012, but it ended up not being released. Why? According to Forbes, the draft was blocked on orders from the White House, and subsequently delayed seven months — presumably to protect President Obama’s reelection efforts. “…According to sources, the White House political block — a direct violation of numerous ethics regulations and possibly of federal laws — was instituted over the objections of scientists at the FDA, but with the awareness of HHS Secretary Sibelius, her senior adviser Andrea Palm and the Office of Science and Technology Policy and its director John Holdren, who is responsible for enforcing ‘science integrity’ across government agencies. The OSTP had overseen an inter-agency review process that was completed by early spring. According to sources, Holdren stood by as the White House openly meddled. The revelations have come as an embarrassment to the administration, say sources. As president, Barack Obama had pledged to change ‘the posture of our federal government from being one of the most anti-science administrations in American history to one that embraces science and technology.’ To publicly guarantee that, the White House had issued a science integrity memorandum in 2009 pledging, ‘Political officials should not suppress or alter scientific or technological findings and conclusions,’ and putting Holdren in charge of enforcement. Without labeling, there’s no way for you to tell how the food you eat was grown, and while this is bad enough as it relates to GE corn, soy, sugar, and other common food ingredients, it’s an issue that will become increasingly important with the introduction of animal foods where the entire animal itself has been genetically altered. I believe the old adage that “you are what you eat” is rooted in basic truth, and I for one do not think there’s any possible way to achieve the same health benefits from a genetically altered food source as from “the real deal” produced by nature. These are remarkable times, but it’s become quite clear that we must vigorously protect and defend natural foods of all kinds. We cannot afford to stick our heads in the sand and hope for the best on this issue. 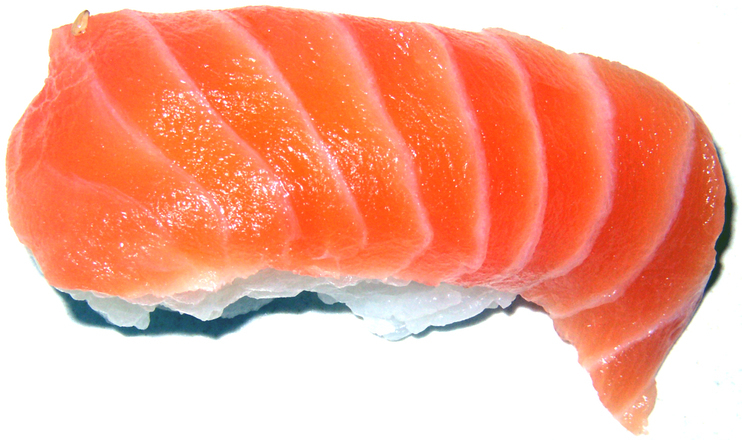 Fatty acids in fish may protect against allergies and diseases like Crohn’s . 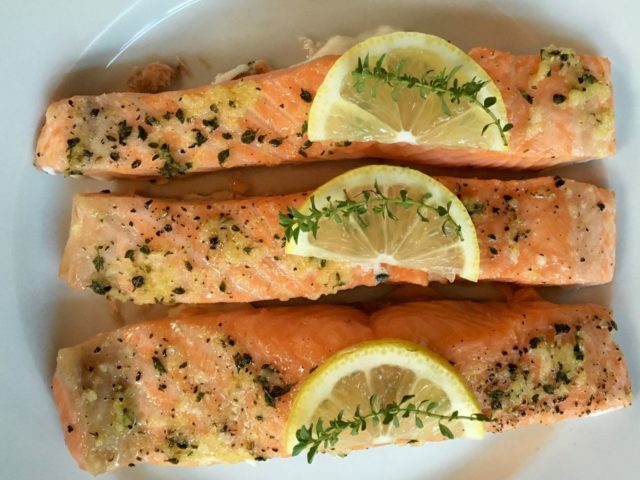 Half of the women ate salmon twice a week from half-way through pregnancy until birth. The others avoided the fish. 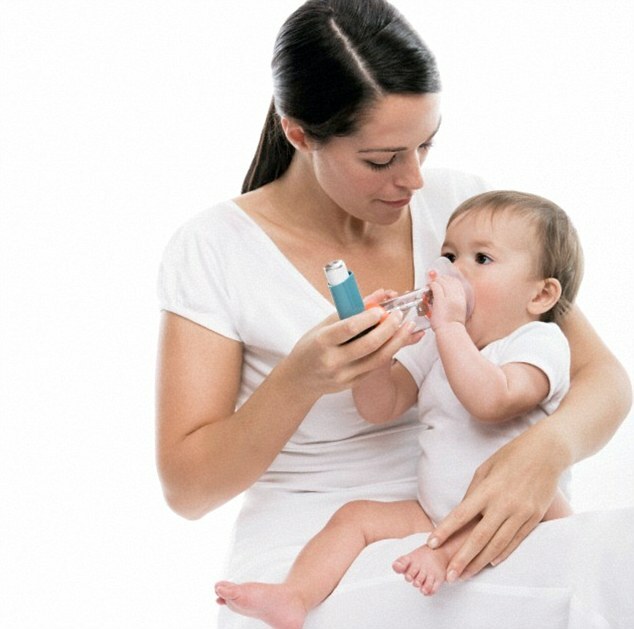 By the age of three, one in ten of the children had been diagnosed with asthma. However, almost all the cases were in youngsters from salmon-free pregnancies. His work, which is yet to be published in a journal but was presented at the Experimental Biology conference in the US, is part of a growing body of research that points to a child’s health being programmed early in life, including the womb and pre-conception. It is argued that these early days shape a child’s chances of everything from developing diabetes in their 40s and 50s to having a heart attack in old age. It is even said that life expectancy can be traced back to these early days and months, as can a lifelong battle of the bulge. The NHS says a healthy diet should include at least two portions of fish a week, including one of oily fish. Men and boys can have salmon and other oily fish up to four times a week. Concern about the build-up of toxic chemicals in the oily flesh means pregnant women – and women and girls of child-bearing age – are advised to eat just two portions a week. However, seven out of ten Britons do not eat any oily fish at all. Other sources of omega-3 include walnuts, pumpkin seeds, tofu and green leafy vegetables. There is more evidence that salmon use the Earth’s magnetic field to perform extraordinary feats of navigation. A study suggests that Pacific salmon are born with an in-built “magnetic map” that helps them to migrate over thousands of kilometres. US researchers believe the fish are sensing changes in the intensity and angle of the Earth’s magnetic field to establish their position in the ocean. The epic journey of the Pacific salmon is one of nature’s greatest migrations. 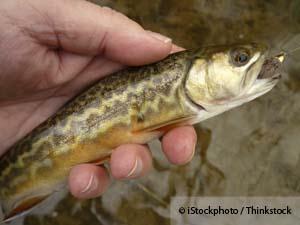 The fish hatch inland in rivers and streams, before swimming for hundreds or even thousands of kilometres to reach the open ocean. After several years of foraging at sea, they make their way back to the same freshwater sites where they spawn and then die. 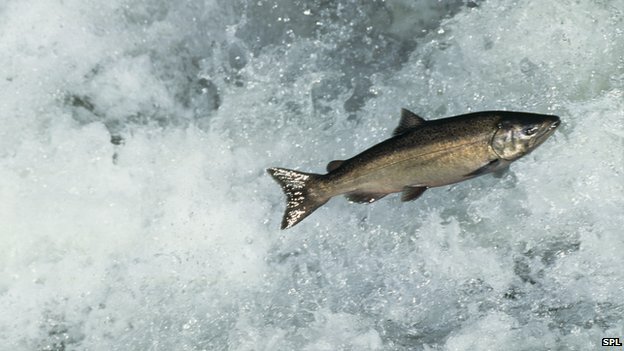 Previous research has suggested that the fish use the Earth’s magnetic field to find their way, with an earlier study led by Dr Putman revealing that Sockeye salmon may possess a memory of the magnetic field where they first entered the sea to find their way back home to their spawning ground. But now the team says that the fish may also have an innate sense of the world’s magnetic field. To investigate, they looked at Chinook salmon hatchlings, which had not yet made a migration out to sea. Because the intensity and inclination of the Earth’s magnetic field change depending on where you are on the globe, the researchers exposed the fish to the sorts of magnetic fields they might experience on their journey through the ocean. “We put the fish in buckets, we change the magnetic field around them, and the fish change direction in response to the field,” explained Dr Putman. For example, if they altered the magnetic field so it mimicked the northern extreme of the salmon’s range, the fish oriented south. If they changed the field so it was the same as that experienced by salmon at the very southern end of their range, the fish turned around and pointed north. Dr Putman explained: “To try to observe meaningful behaviour in the lab, we needed to have a good prediction of what the fish should do. Since none of these fish are found north of a certain magnetic field, we assumed that they are happiest to the south of that. Because the fish that were studied had never before made a migration, the scientists think the fish are born with this magnetic sense rather than it being a skill that is learned. The team believes other sea creatures such as turtles, sharks and whales may also use the same tactics to roam the oceans.